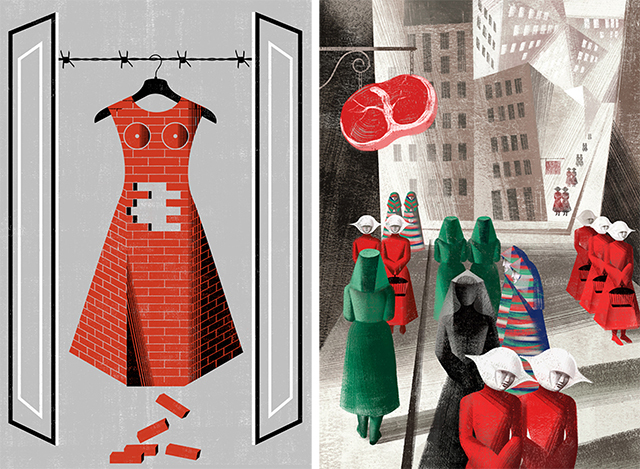 The Handmaid's Tale is one of my all time favourite books - as it is many people's! - but I only have one paper copy so far. Whilst digital books have been an absolute lifesaver in terms of cost (mostly) and space (definitely), I'm never going to give up my love for 'real' books - they're the main focus of my studies now, too. One of the publishers which I can always guarantee will produce an edition I'd buy is the Folio Society. I've posted before about the only edition I own, Gabriel Garcia Marquez's One Hundred Years of Solitude, illustrated beautifully by Neil Packer - and I loved Sam Weber's illustrations for Lord of the Flies. 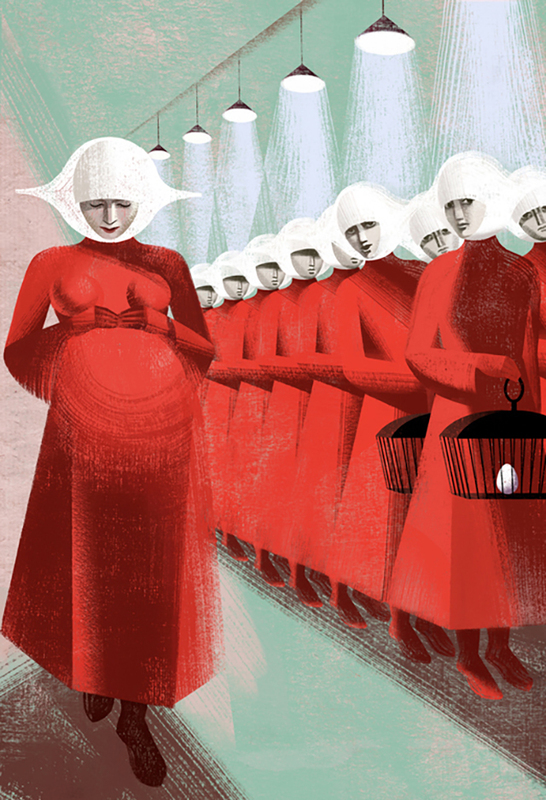 I'm hoping to expand my collection, and sure enough, they've produced an edition of the Handmaid's Tale. It features illustrations by the Balbusso twins, Elena and Anna, who interestingly work together as a team. 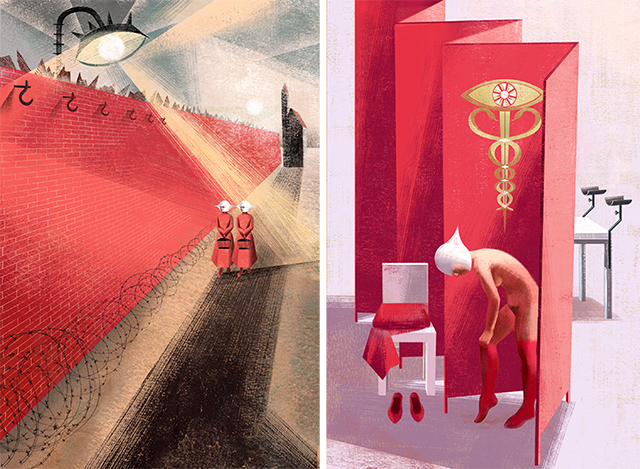 In an interview with the Folio Society, the sisters cite Russian constructivism, futurism and fascist design as their inspiration. The resulting images are full of symbolism, coming together to create an extraordinary visual accompaniment to the novel. The illustrations are suffused with twisted icons of watchfulness, filled with boundaries, hard edges and sharp angles. Hooks, shards, wire and stirrups conjure the methods of violence and restraint - the reduced body is called to mind viscerally with meat and eggs. The images completely capture the world that I imagined: the reduction of women to their reproductive function; the categorisation and (attempted) removal of individuality; the violence, subjugation and surveillance.